1 in 5 New Zealanders has suffered from some form of Mental Health problem in the last year. We are seeing more about this in the mainstream media, and most of us will know of someone who has been affected at some time in their lives. Stress, anxiety, depression and substance dependence are only some of the issues that can be experienced, and these are often frightening and cause major imbalance. 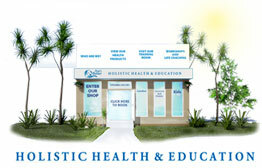 Homeopathy is an important healing modality in Mental Health disorders. I am a firm believer that homeopathy in fact works at its best in these cases. The use of remedies on an individualised basis means that we are not treating the label (the ‘depression’, the ‘anxiety’ or the ‘stress’), but we are treating the symptoms that are manifested by the patient. Many people suffer from ‘anxiety’, but we are well aware that we all show anxiety in different ways. A remedy will be prescribed depending on the individual symptoms of each patient; therefore, one remedy that has worked well for one patient will not necessarily be the same remedy for a different patient. Another important principle of Homeopathy that encourages healing in mental health is the fact that we address the cause of the disease, and use this in selecting a remedy. We look to find what it is that stress you out, makes you anxious in certain situations or makes you feel low at particular times. This is an important part of the healing process as it provides time for self-reflection and observation, and the ability for the patient to take responsibility for their own health and well being. The use of Homeopathic remedies is an excellent alternative to pharmaceutical medication and ensures that balance is restored to the patient in a gentle and effective way. It also provides the opportunity to provide harmony to a point where medication (Orthodox, Homeopathic or other) is no longer needed. For more information or a consultation contact Homeopath, Sophie Robbers. This entry was posted in General News by Lynda. Bookmark the permalink.